I used to work graveyard shift an spent hours recording music that I liked.I still have tons of tapes a dual deck and 6 or more boom boxes. Still do! Recently bought two portable cassette players on Ebay. I'm surprised there aren't any more comments about this. 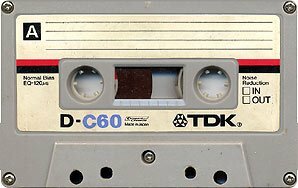 Almost everyone back in the day had several cassettes lying around here and there.